Are you worried about your AC replacement? It can be overwhelming with all the options out there, but fortunately there are some things you can learn that will help take the worry out of your decision making process. This guy is your guide to replacing your unit, so it only makes sense to hire one that you can trust. Don’t just pull out a phone book and pick a name or contact the first entry in an Internet search. Do a little research first so that you can be confident that the person helping you is really trying to help. Referrals are a great place to start, and you probably know someone who can refer a person or company that they trust. Friends and family are the best first source, but you can also look to Internet ratings or the Better Business Bureau for some names. Pare down your list by talking to the company. You will want to make sure that they are licensed and insured like they are supposed to be, and if it is a company then you may want to see if their employees are paid on salary or commission. Commission employees may be less trustworthy than salary employees, as they get a boost in their paycheck when they make more and bigger sales. If comparisons don’t give you everything you need to know, you can also ask for estimates. These estimates should come with a breakdown of the services provided in the estimate so that you can be sure to make a fair comparison. Some companies may omit certain items or services to make their estimate look better. These come with pretty much every new system these days, but there are several stipulations that you must follow in order for the warranty to remain in effect. One stipulation that is many times present is for the warranty to be registered within a certain amount of time after installation. You should check with your technician to see if that is something that he will be taking care of. It is also a good idea to go over that warranty with your technician so you can be sure that you understand what you will be required to do. 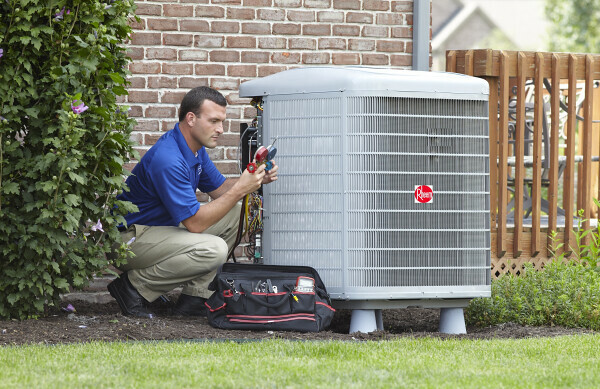 There are two factors that play a big part in the price of your AC replacement: size and efficiency. Of course, the manufacturer has a big say as well, but your primary concern should be size and efficiency, and then you can figure out the make. The size plays a large part in how efficiently your system will run. That is because a unit that is too large will use more energy, but you won’t ever really feel cool because it won’t run long enough to pull the moisture from the air. A unit that is too small will run all the time while never really providing adequate cooling. It can also damage your house, as excessive running leads to dry air, which can cause things like the seals around your doors and windows to crack. To avoid this, make sure your technician does a size estimate so he can be sure to install the right sized unit. Another way to measure the efficiency of a unit is to check the rating and see if it is Energy Star approved. Bigger numbers are usually better when it comes to efficiency ratings, but if it has a Star, then it has met certain standards for efficiency. Of course, pretty much anything you can buy these days is more efficient than what you could buy five to ten years ago, so it will be an improvement. As you can see, it doesn’t take a whole lot of knowledge to help you make a good decision for your AC replacement. In fact, if all you take from this article is to find an honest technician, then you are well on your way towards making a good decision. Find a great technician for your AC replacement to ensure they can help steer you in the right direction. How does Electricity Get to Me? Watch It Here! Posted on April 16, 2016 June 7, 2016 Categories Award Winning Design, Behaviour Home DesignTags Award Winning Design, Behaviour Home DesignLeave a comment on How does Electricity Get to Me? Watch It Here! Solar hot water heating systems are a great way to effectively conserve energy and reduce the overall electricity bill. It can also cut down on your gas, wood or coal bills depending on your current water heating system. Solar water heating systems have been used commercially for over a century now. Solar water heating can be used in any climate. Sound unbelievable? Check it out on the U.S. Department of Energy website. They say so too. Moreover, the fuel used to run a solar water heater is sunshine. And, at the time of writing this article, sunshine is free – no tax has been added yet. A solar hot water heater can reduce your water heating bill by more than sixty percent. But with energy prices going up, the amount of savings will soon turn to be even higher. So using a solar water heater will help save fossil fuels. Solar water heating will significantly reduce your carbon footprint, and reduce the demand for fossil fuels which pollute the environment. A company from Jaipur provides such systems that are easy to maintain, rather maintenance free and long life too. There heaters are made using the thermosyphon effect. Based on the evacuated tube water heating technology, systems by SolarMaxx Solar Water Heating are brought to you by the illusions4real group. Rajasthan which seems more that 300 sunny days in a year also haappens to get very cold in winter months. People generally require hot water for over 6 months in a year. The state is also a popular tourist spot, and cities like Jodhpur, Udaipur, Jaipur, Sawaimadhopur, Sikar, Bharatpur, Ajmer, Jaisalmer, Barmer etc have many hotels. Hotels need a lot of hot water and the government have made the use of solar water heaters compulsory for all hotels in the state having any more than 20 rooms. Recently some popular hotels have chosen SolarMaxx as their service provider, such as Park Prime by Dangayach group in jaipur, Rang niwas in hotels, Shiv Vilas in Jaipur are few amongst the list. Solar Maxx is also very popular in the budget hotel segment, not only is it for hotels but also hospitals and home owners. Domestic users benefit a lot by the use of solar water heaters as they are extremly safe and there are no hassles of high bills, accidents caused due to water heating rods and so on. It shouldn’t take long now to make a decision and go green for you, save energy, save money, go solar with SolarMaxx. Granite is one of the hardest stones, second only to diamond, a factor that contributes to it being the superior choice for kitchen countertops and floors. As hard as it is, it will still scratch. Drag a pallet with a nail sticking out, and you are going to leave a mark. Removing a granite scratch is not for the faint of heart. You may be able to fill it if it is deep, but typically it is still noticeable. Better to reach out to professional. A common misperception is that a sealer can repair a scratch. A penetrating sealer is designed to soak into the stone’s pores and set-up. Any material on the surface should be wiped up so that only the materials in the stone pores remains. These materials are designed to bridge very small spaces, not wide scratches. A scratch is like the grand canyon when compared to a pore in your stone. A topical sealer is designed to leave material on the counter surface. If the hardness of granite is one of its advantages, then when we apply a relatively soft coating to the surface, we have eliminated or rather hidden the granites hardness benefit. It will be easier to damage, scratch or alter the topical coating than the granite itself, so we may cover the scratch, but have merely created a very temporary fix, that will need to be removed again to repair the initial scratch. This actually increases the cost of the repair, and the length of time you may be inconvenienced. Topical sealers are not scratch removers or longterm solutions. While this is an easy process for a properly trained, knowledgeable, experienced craftsman, there is a reason that many “stone craftsman” shy away from such repairs. You have to know what you are doing or you risk expanding the problem. In order to remove a scratch, one does not fill it, but rather grind the surface down to the level of the bottom of the scratch, then have to feather out the repair across the counter in order to avoid any perceptible slope or soap dishing. As most scratches are a hair’s thickness in depth on a hard granite surface, this sounds scarier than it is. That said, the first step is to remove stock. Once the surface has been releveled, the process of honing, grinding, polishing begins to gradually flatten the repaired surface until it once again is so flat it will reflect light true. You might hear the professional use the terms honing and grit sizes when referring to your project. Grinding is employed to remove the excess stock above the bottom of your scratch. Honing is the process of smoothing the granite using abrasives. Honing and polishing is the process that will close up your surface gradually wearing any mountains down to the bottom of the valleys. Ultimately working from low to high grits the surface is ground to a mirror like finish. It may sound easy and logical, and it is, but it requires a keen eye and knowledge of the stone. One error and one must return to that point of the error and start again. While some people prefer to try a home remedy first, this is clearly a case in which this is likely to increase your total cost. Scratch, chip and crack repairs on granite can be done, but hiring a professional will result in a less expensive, less messy, faster, reduced inconvenience process. Remember, that whenever you have a repair done you need to reseal the surface, unless working with a resonated slab (but that is a subject of another article). Remember to do your research by asking your neighbors or home improvement supply stores for craftsman recommendations. It’s not enough for someone to say they are an expert, or they have the tools, make sure they can show you other projects they have done. Remember marble is not granite. Granite is granite. You want to see examples of granite projects. Get a professional estimate and make sure this job get completed properly. Have you ever considered installing your own hardwood floors? It might seem like an easy thing to do, but in fact there are several things during the process that must be done correctly in order to get that professional look that you crave. First things first, measure the room you’re going to do and add 10 to 15 percent extra square footage in order allow for wood irregularities or miscuts. Next, choose the wood you want. There are a lot of places where you can buy hardwood floors, including big box and internet retailers, but going to local stores that are dedicated to wood flooring will give you the customer service that’s required for making a purchase of this kind. The salesperson at the store will ask you to choose whether you want to go with woods that require glue or vapor barrier paper. For the purposes of this article we’ll go with the nicer glue option. One last thing, with either one, you’ll need to acclimatize your wood before you start laying it. Do this by simply opening all of the wood boxes and leaving it in the room where it will be installed for at least 24 hours. Check the sub-floor for dips, holes or other uneven areas. You’ll need to fill these in with a concrete mix and ensure a totally even surface prior to installing your floors. 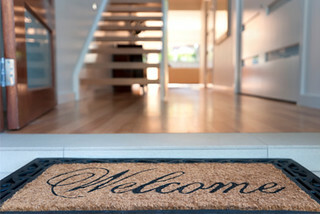 Once everything is dry and clean you can begin installing your floors. It’s always a good idea to begin your floors by starting at the longest unobstructed wall. 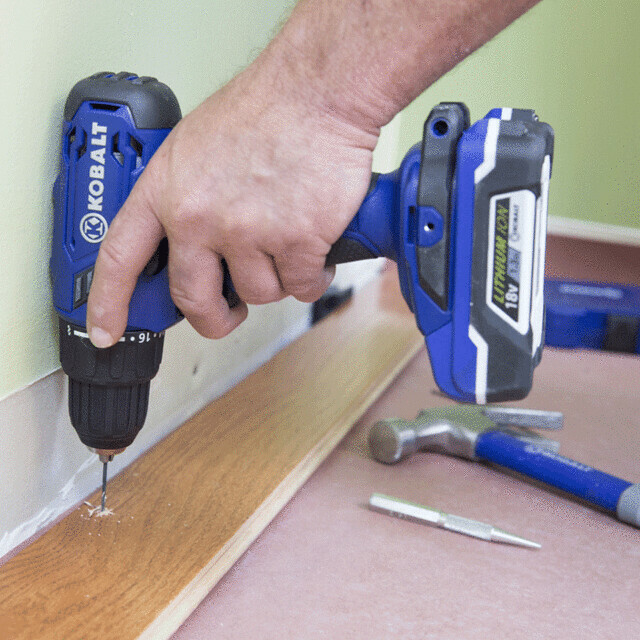 You’ll need to remove the shoe moldings and chalk a 1/4″ line from the baseboard in order to allow for expansion and contraction in certain weather conditions. Now, to keep all the boards straight you’ll need to place chalk lines every three or four lines. Once this is done, place some glue within the chalk line and the wall and ‘scrape’ the glue by using a trowel (with teeth). Only the glue that is left behind by the trowel’s teeth openings is enough to glue the wood onto the concrete foundation. Place the longest board first and go from there. To fit the woods together, firmly push and use a rubber hammer to gently fit the tongue and groove between the hardwood planks. Once you reach the ends of the room, you’ll need to place the boards you cut to fit. Remember to leave a 1/4″ gap at the end of the wall. Throughout the placement of the wood planks, you’ll need to place tape across three or four rows of the hardwood planks you’ve already put down. This will limit any movement of the planks as they settle into place. Once you finish putting everything together, you’ll need to fill any holes in the wood with putty. Also, check the floors for any ‘hollow spots’, as these will need to get filled by drilling a very small hole in the hollowed space and injecting glue into it. Congratulations, you have now completed the installation of your new hardwood floors. Enjoy! With the economic decline, people are deciding to take full advantage of their current living arrangements rather then buying bigger houses. Possibly this is the reason why there appears to be an enormous increase in the amount of homeowners interested in interior design and decorating. By simply re-arranging your living space or by finishing small do-it-yourself jobs, you can create an inviting space where best freinds and family may visit and relax. Among the focal points of the home may be the stairway. The stairway can be elegant or it could be very traditional. Since the staircase is often a permanent fixture at home, you ought to end up being very careful whenever making changes. For example, if perhaps your current staircase is actually created from wood and you want to include a metal handrail, you should consider your own choice thoroughly before making the change. In addition, youll have to think about safety aspects too. While you might like the appearance of a stairway that lacks a hand railing, it might be dangerous for those who have young kids. Even though you do not have young children at home, such a staircase could lead to trouble for older members of the house or your household pets. When youre designing a stairway or even replacing an aged staircase with a new one, it really is vital that you consider the structural strength of the stairs. An experienced contractor or even designer should end up being in a position to provide you with tips on picking a structurally sound stairway. One of the biggest troubles when selecting a staircase is to find a model thats sophisticated, though not too flashy. This is especially true if you have a traditional home with modest decor. The stairway may be straight or possess a landing to break up the staircase. In the event that you have a small home, you may have to make use of a spiral staircase out of necessity. Right after you have chosen the sort of staircase, you are able to focus on the various other components of the stairs. You will need to select balusters that go well along with the stairways. Ballusters tend to be the very tall posts that are towards the bottom of the stair case. The baluster may end up being extremely simple or very elaborate. Newel posts are usually the posts that are attached to the railing. These types of posts may be circular or they can be square in shape. They may be made from wood or metal depending upon your tastes. Newel posts can complement the balusters or they may be created differently. You are able to even complete your newel posts with caps. Lastly, you should pick the finish for the top of the stairs. Steps can end up being completed in decorative wood or maybe painted. In some instances, the surface of the stairs may be covered in carpeting or any other types of material to protect against falls or any other mishaps. If you arent creatively inclined, just about all of these types of choices might be extremely overwhelming. In this case, you are able to look on the internet or in magazines to obtain design ideas. If you are still having problems making decisions regarding your stairs, speak with a seasoned interior designer. 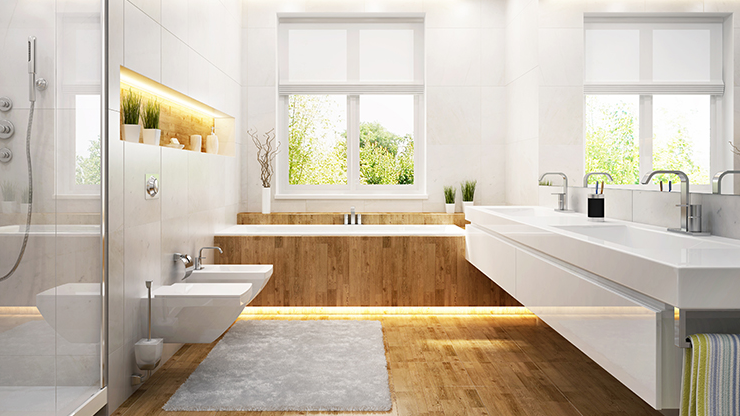 Wanting To Remodel Your Bathroom But Tight On Budget? Watch This! Posted on April 8, 2016 June 7, 2016 Categories Award Winning Design, Behaviour Home DesignTags Award Winning Design, Behaviour Home DesignLeave a comment on Wanting To Remodel Your Bathroom But Tight On Budget? Watch This! In keeping with most districts of healthcare, the marketplace has seen a boom in the construction of Behavioral Healthcare facilities. Contributing to this increase is the paradigm shift in the way society views mental illness. Society is placing a heavier value on the need to treat people with serious addictions such as alcohol, prescription and elicit drugs. A large percentage of people suffering from behavioral disorders are afflicted with both mental and addictive behaviors, and most will re-enter communities and either become contributors or violators. These very specialized facilities do not typically yield the attention from today’s top healthcare designers and their quantity accounts for a small fraction of healthcare construction. However, Behavioral Healthcare projects are increasing in number and are being designed by some very prominent architectural firms such as Cannon Design and Architecture Plus. Many are creating state-of-the-art, award-winning contemporary facilities that defy what most of us believe Behavioral Healthcare design to be. As with all good planners and designers, A+D (along with facility experts) are reviewing the direct needs of patient and staff while reflecting on how new medicine and modern design can foster patient healing rates, reduce environmental stress, and increase safety. This is changing the face of treatment and outcome by giving the practitioner more time to treat because they require less time and resources to “manage” disruptive patient populations. The face of Behavioral Healthcare is quickly changing. No longer are these facilities designed to warehouse patients indefinitely. And society’s expectations have changed. Patients are often treated with the belief that they can return to their community and be a contributor to society. According to the National Association of Psychiatric Health Systems (NAPHS), depending on the severity of illness, the average length of stay in a Behavioral Healthcare facility is only 9.6 days. Also impacting the need for Behavioral Healthcare construction is the reluctance of acute-care facilities to provide mental health level services for psychiatric or addiction patients. They recognize that patient groups suffering from behavioral disorders have unique health needs, all of which need to be handled and treated only by very experienced healthcare professionals. This patient population also requires a heightened level of security. Self-harm and injuring staff and other patients are major concerns. The Report of the Surgeon General: “Epidemiology of Mental Illness” also reports that within a given year about 20% of Americans suffer from a diagnosable mental disorder and 5.4% suffer from a serious mental illness (SMI ) – defined as bipolar, panic, obsessive-compulsive, personality, and depression disorders and schizophrenia. It is also believed 6% of Americans suffer from addiction disorders, a statistic that is separate from individuals who suffer from both mental and addiction disorders. Within a given year it is believed that over one-quarter of America’s population warrants levels of mental clinical care. Even if these statistics were cut in half, it cannot be denied as a serious societal issue. With a growing population, effectively designing in accordance with such measures is at the heart of public health. Therefore, like Corrections, leading planners and designers specializing in Behavioral Healthcare are delving deeper to better understand the complexity of issues and to be the activist to design facilities that promote treatment and healing – and a safer community. Today’s Behavioral Healthcare facilities are often one-story single buildings within a campus size. Often debated by Clients due to costs, this design preference is driven by the demand for natural light, window views to nature for all patient areas, and outdoor open-air gardens “wrapped” within. All of this provides soothing qualities to the patient, reduces their anxieties, counteracts disruptive conduct and helps to reduce staff stress. These design principles are also believed to improve staff work conditions. Unlike a multi-story complex, at any moment staff can walk outdoors and access nature, free from visual barriers, and within a building that more accurately reflects building types that both patients and staff would encounter in their communities. In addition to right-sizing for the overall building footprint, is right-sizing for internal patient and staff support area. Similar to the move we have seen in Corrections to de-centralize support spaces, Behavioral Healthcare is moving to decentralized nursing/patient units called “neighborhoods.” With mental health facilities there is a large concern with distances and space adjacencies in relation to the patient room and patient support areas such as treatment and social spaces. Frank Pitts, AIA, FACHA, OAA president of Architecture Plus, Troy, NY, advocates neighborhoods that average 24-30 beds arranged in sub-clusters, called “houses”, of 8-10 beds. Thus, each neighborhood consists of three houses. Often these layouts will include a common area where patients congregate and socialize, with a separate quiet room so patients can elect to avoid active, crowded areas. In addition Pitts states, “There’s a move away from central dining facilities. So, while facilities will still have a central kitchen, it’s a whole lot easier moving food than it is patients.” However, it is important for the facility to mimic normal outside daily life routines, so patients are encouraged to frequently leave their neighborhoods to attend treatment sessions, and outdoor courtyards. In all facilities that play a role in rehabilitation, design strives to create spaces that humanize, calm, and relax. Behavioral Healthcare patients need to feel that they are in familiar surroundings; therefore, the architectural vocabulary should feel comfortable and normal. Since these facilities are about rehabilitation (when possible) and encouraging patients to merge back into society, the facility should feel like an extension of the community. Their spaces should reflect the nature and architecture of the surrounding region and thus so, no two facilities should look too much alike. “Our approach to designing these facilities is to view the facility as an extension of the community where patients will end up when they’re released. Interior finishes also depend on geography because you want to replicate the environment patients are used to. You want to de-stigmatize the facility as much as possible.” – Tim Rommel, AIA, ACHA, OAA, principal with Cannon Design in Buffalo, NY. Therefore, materials and colors within these spaces want to feel familiar to one’s region and everyday life. To soothe the psyche and rehabilitate, they want to feel soft and comfortable, yet visually stimulating. An interior that is overly neutral or hard in appearance is not appropriate. Materials should reduce noise, and colors should lift the spirit. This can help to create an environment in which the patient can learn, socialize, and be productive while easing anxieties, delivering dignity, and modifying behavior. As stated previously, behavioral studies advise the use of softer interior materials-like carpeting, wood doors and tile. Doing so translates directly to both patient and staff well-being, particularly staff safety, and makes for a nicer place to work. In addition, staff have more resources to “treat” instead of manage heated situations. When staff experiences are eased and satisfied, morale is boosted and life-saving rules and policies are more likely to be enforced. While reducing staff stress and fatigue through a healing supportive environment seems like an obvious goal, there are relatively few studies that have dealt with this issue in any detail. More attention has been given to patient outcomes. However, many leading hospitals that have adopted therapeutic tenants into their newly built environments have seen vast improvement through their “business matrixes” and financial reporting. In one example, the Mayo Clinic, a national leader in implementing healing design in its facilities, has reported a reduction of nursing turnover from a national annual average of 20% to an annual 3%-4%. In another example, when Bronson Methodist Hospital incorporated evidence-based design into its new 343-bed hospital, they cited their 19%-20% nurse turnover rate dramatically dropped to 5%. Now, both the Mayo Clinic and Bronson Methodist Hospital have had to initiate a waiting list for nursing staff seeking positions. This converts to better-trained and qualified staff, and a reduced error rate. Therefore, more health facilities are investing in staff support areas such as lounges, changing rooms, and temporary sleep rooms. Within these staff spaces and in the hospital throughout, facilities are also recognizing the need for upgrade materials, better day lighting, and an interesting use of color: One soon realizes that the need of patients and staff are interwoven, each impacting positively or negatively the other. Without debate, self harm and harm to staff is one of the biggest concerns mental health facilities manage. Often the biggest safety and security concern is the damage patients can do to themselves. “There are three rules I had drummed in me,” says Mark Hanchar; Director of Preconstruction Services for Gilbane Building Company, Providence, R.I. “First, there can’t be any way for people to hang themselves. Second, there can be no way for them to create weapons. Third, you must eliminate things that can be thrown.” Hanchar says that the typical facility is, “a hospital with medium-security prison construction.” This means shatter proof glass, solid surface countertops (laminate can be peeled apart), stainless steel toilets and sinks (porcelain can shatter), push pull door latches and furniture that cannot be pulled apart and used as a weapon. These are just to name a few. As medicine is increasingly moving towards “evidence-based” medicine, where clinical choices are informed by research, healthcare design is increasingly guided by research linking the physical environment directly to patient and staff outcomes. Research teams from Texas A&M and Georgia Tech sifted through thousands of scientific articles and identified more than 600 – most from top peer-reviewed journals – to quantify how hospital design can play a direct role in clinical outcomes. The research teams uncovered a large body of evidence that demonstrates design features such as increased day-lighting, access to nature, reduced noise and increased patient control helped reduce stress, improve sleep, and increase staff effectiveness – all of which promote healing rates and save facilities cost. Therefore, improving physical settings can be a critical tool in making hospitals more safe, more healing, and better places to work. Considering the cost of treating mental illness, which is exceedingly high, and wanting facilities to have effective outcomes, a further practice of incorporating therapeutic design is increasing. The National Institute of Mental Health (NIM H) approximated in 2008 that serious mental illnesses (SMI ), costs the nation $193 billion annually in lost wages. The indirect costs are impossible to estimate. The estimated direct cost to clinically treat is approximately $70 billion annually and another $12 billion spent towards substance abuse disorders. In addition to the increased need of care and the boom in Behavioral Healthcare construction, it becomes an obligation to make certain that we as facility managers, architects, designers and manufacturers therapeutically plan and design these facilities. Notably, in 2004, “The Role of the Physical Environment in the Hospital for the 21st Century: A Once-in-a-Lifetime Opportunity,” published by Roger Ulrich P.H.D., of Texas A&M University, was released. In a culmination of evidence-based research, research teams found five design principles that contributed significantly to achieving therapeutic design goals. Studies indicate that nature might have the most powerful impact to help patient outcomes and staff effectiveness. Nature can be literal or figurative – natural light, water walls, views to nature, large prints of botanicals and geography, materials that indicate nature and most importantly, stimulating color that evokes nature. Several studies strongly support that access to nature such as day-lighting and appropriate colorations can improve health outcomes such as depression, agitation, sleep, circadian rest-activity rhythms, as well as length of stay in demented patients and persons with seasonal affective disorders (SAD). These and related studies continue to affirm the powerful impact of natural elements on patient recovery and stress reduction. Thus, it is clear that interior designs which integrate natural elements can create a more relaxing, therapeutic environment that benefits both patients and staff. These are a small set of environmental features that provide the patient and family a positive diversion from “the difficult” and, in doing so, also negate an institutional feel. These can be views to nature, water walls, artwork, super imposed graphics, sculpture, music – and ideally all of these want to be focused on nature and, when applicable, an interesting use of color. Therapeutic environments that provide such patient-centered features can empower patients and families, but also increase their confidence in the facility and staff. This helps with open lines of communication between patient and caregiver. These are spaces designed partially for the patient but mainly for the comfort and socialization of family members and friends of the patient; therefore, family lounges, resource libraries, chapels, sleep rooms and consult rooms all play a role. When family and friends play a key role in a patient’s healing, these spaces encourage families to play an active role in the rehabilitation process. optional areas to reside in. A few well-appointed studies in psychiatric wards and nursing homes have found that optional choices of moveable seating in dining areas enhanced social interaction and improved eating disorders. When patients feel partially in control of their healing program and that the building features are focused to them, an increased confidence of the quality of care enters and tensions lower. As with all therapeutic design, this allows the caregiver to use their resources healing in lieu of “managing” patient populations. Noise level measurements show that hospital wards can be excessively noisy places resulting in negative effects on patient outcomes. The continuous background noise produced by medical equipment and staff voices often exceeds the level of a busy restaurant. Peak noise periods (shift changes, equipment alarms, paging systems, telephones, bedrails, trolleys, and certain medical equipment like portable xray machines are comparable to walking next to a busy highway when a motorcycle or large truck passes. Several studies have focused on infants in NIC Us, finding that higher noise levels, for example, decrease oxygen saturation (increasing need for oxygen support therapy), elevate blood pressure, increase heart and respiration rate, and worsen sleep. Research on adults and children show that noise is a major cause of awakening and sleep loss. Architectural design can assist in overcoming these types of obstacle. Whether you are designing a luxury home or care facility, there are certain design aspects that need to be considered. Overall comfort and a sense of peace, are able to be enhanced by a well designed environment. Considering Melbourne designed homes and prestige premises, one could draw the conclusion that choosing the right home builder is going to make all the difference. In addition to worsening sleep, there is strong evidence that noise increases stress in adult patients, for example, heightening blood pressure and heart rate. Environmental surfaces in hospitals are usually hard and sound-reflecting, not sound-absorbing causing noise to travel down corridors and into patient rooms. Sounds tend to echo, overlap and linger longer. Interventions that reduce noise have been found to improve sleep and reduce patient stress. Of these, the environmental or design interventions such as changing to sound-absorbing ceiling tiles, are more successful than organizational interventions like establishing “quiet hours.” White noise or noise reducing electronic devices can also help quieten a noisy environment. The information contained in this excerpted report is intended as a guide for architects, specifiers, designers, facility planners, medical directors, procurers, psychologists and social workers which have a stake in providing improved facilities for behavioral healthcare patients. It is a portion of a report entitled “The Contributions of Color” authored by Tara Hill, of Little Fish Think Tank. Ms. Hill was commissioned by Norix Group Inc., in 2010 to research the role color plays in the safe operation of correctional facilities and behavioral health centers. More in-depth information specifically about the psychological influence of color and behavioral healthcare facility design can be found by reading the full report. Tara Hill is a full-scope, state registered interior designer, and the founder and principle of Little Fish Think Tank. Before founding Little Fish, Ms. Hill was an Associate + Senior Designer at HOK, and the Director of Interiors at Stanley, Beaman & Sears. She has implemented award-winning, innovative design solutions for commercial and institutional interiors. Ms. Hill also has significant experience regarding the science and theory of color, both as a design tool and a promoter of healing. She has conducted extensive research in evidence-based design regarding color and its profound impact on the human spirit. For over 25 years, Norix has offered the most complete line of correctional furniture, for use throughout correctional facilities. With their extensive experience in providing secure furniture for prisons and jails, Norix is a trusted resource for every corrections application. Norix also offers a vast array of furniture for several industries including behavioral healthcare, commercial, higher education, public safety, GSA and shelters. All furniture is designed for safety, security and extreme durability. Norix intensive-use furniture is extraordinary by design, surpassing industry standards for strength, safety and long-term performance. Before you purchase a fence for your home, yard or pool side consider the following; why you want the fence, the material, will you install it and style. Before you purchase and install a fence question the motives for adding a fence to the yard. Are you adding a fence to keep the dog from relieving himself in the neighbor’s yard? Then perhaps a chain link fence is the route for you. Are you installing fencing for pool safety? If this is the case you might be looking into a more decorative black aluminum pool fence. If privacy is your concern wooden privacy fencing is available. The material for the fence is an important piece of the equation. 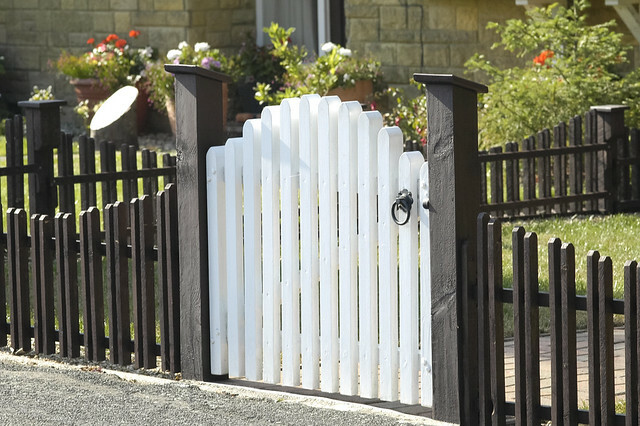 Everyone thinks of the perfect little white picket fence however, do they consider the upkeep needed to paint a wooden fence white each and every season? I am assuming that for the most part they don’t. If you are going for the quaint little white picket fence consider vinyl. Wooden fences hold up well once sealed but will take upkeep every few years to keep them looking fresh. A good power washing and sealing stain can do the trick however maintenance is required. If looking for maintenance free fencing materials choose wrought iron, aluminum, chain link or vinyl. These options require a general light spray cleaning to look fresh season after season. If you are looking to fence in your entire yard and cost is a factor you can consider mixing materials. Chain link fencing is inexpensive and can be used to enclose an entire backyard for a lot less than aluminum or wood. Use your money wisely and place the fencing that is meant for aesthetics at the front of the house. Use a combination maybe a vinyl picket fence in the front, where it is seen from the road, and chain link in the back, hidden from street view. Before purchasing any type of fencing talk with local municipalities and your homeowners associations. Some dictate that certain fence types must have the face side (the pretty side) of the fence face outward. Some dictate that the posts can’t face public property. I have heard of some home owners associations that do not allow fencing at all on the property as it distracts from the open air feeling of the community. Before outlaying the funds consider the rules and regulations governing fencing in your area. Are you going to hire a professional to install the fence or try to do it yourself? This will play a role in the type of material you choose for installation as well. Certain fencing is more difficult to install than others. Wood fence is fairly simple to install where as aluminum fence is best installed by a licensed fencing contractor. Once the fence has been chosen and installed make sure to take time to blend it into the landscaping. Fencing can stick out like a sore thumb if homeowners don’t take the time to make the fencing a part of the yard. You may do this with stain on wooden fence, crawling plants with chain link fencing or pretty shrubs and flowering plants that are perfect with vinyl picket fencing. Your landscape and fencing should be used as an extension of the curb appeal of your home. With the right material, professional installation, up keep and blended landscaping yours should like it was always there.